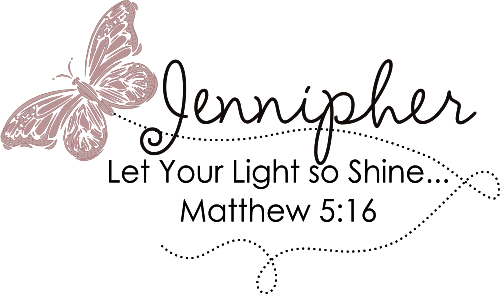 Hello everyone and welcome to the fourth and final day of our one year birthday/anniversary challenge celebration at The Perfect Sentiment! We have sponsors who have donated generous prizes for each challenge and since we are doing this blog hop style, there are hidden prizes along the way. The good news is you will have 3 full weeks to complete all the challenges and blog hops. There will also be a grand prize that you will be eligible for if you complete all the challenges! You can see the Grand Prize and add you name to the inlinkz here once your complete all four of the challenges. 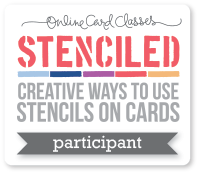 PSC53D: The Challenge/Twist: create a card with a sentiment for the occasion of your choice. Include your sentiment on the front of your card. 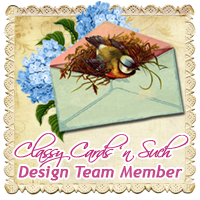 / Incorporate a bird or a bloom, or the combination of both somewhere in the design of your card. I have to admit that when I planned this challenge I had an unfair advantage over my Design Team. I knew I had the perfect image to use and it was still in it's original package, unused. The image comes from a stamp set called "Praise The Lord" by Sweet N Sassy Stamps. Like I said, perfect, right? 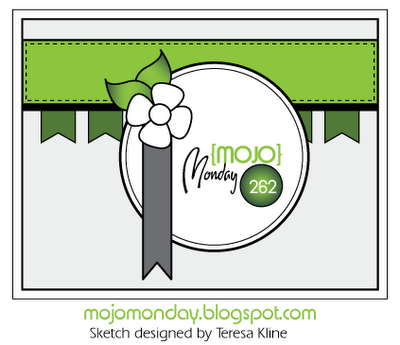 My card design was inspired by this week's Mojo Monday Sketch. Supplies: Praise the Lord stamp set by Sweet N Sassy Stamps; Lacy Squares Spellbinders Dies, Cricut & Phrases cartridge (used to cut out little banners); Weathered Wood Distress Ink; Basic Gray CS from SU; Gina K Pure Luxury CS; My Minds Eye Dolled Up Designer Paper Pad; Copic Markers; Prima flower and Pink brad from my stash. Stitchy Bear Digital Stamps will donate a $15 Gift Voucher to their store to one lucky random winner from today's challenge. Thanks so much for stopping by today. 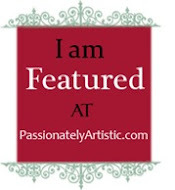 Hope to see you over at The Perfect Sentiment. Hi Jenn! This card is SO sweet and pretty! Love everything about it!! 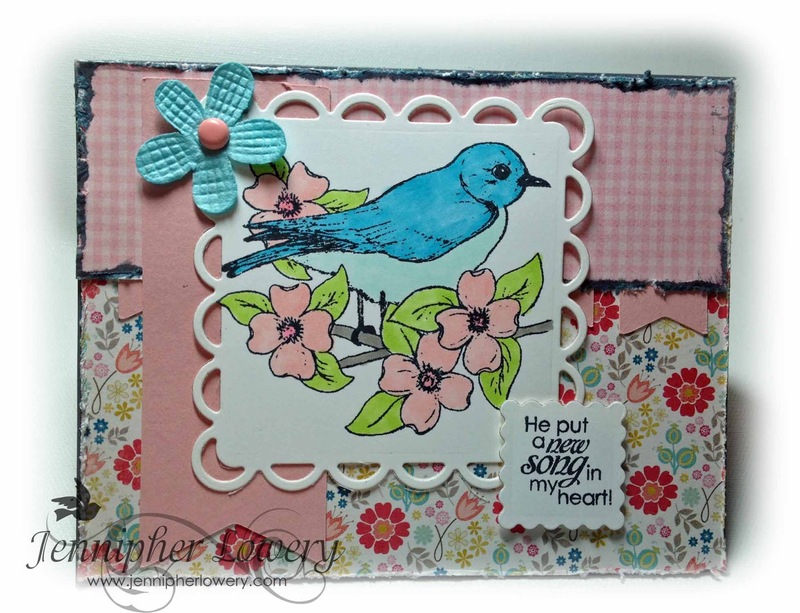 Like the Bird & Blossoms card. Like your coloring, die cuts, papers used & arrangement. I host a challenge at Speedy TV Mark's Finest Papers Simple Salutations in which the challenge this wk is Birds. Membership into MFP is free. 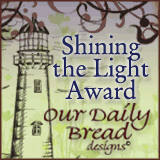 Please join & enter and please let them know I sent you. This card is beautiful with the pinks and blues. Just love it. Wow wonderful card! Love the colors and that sentiment is just perfect. Lovely colors in this great card! I agree this a perfect sentiment. Thanks for joining us for our Distressing Challenge at FOSTV. Like your song bird and thanks for joining our distressing challenge. Beautiful card! I love pink and blue together! Thanks for joining us at FOSTV this week! This is beautiful! 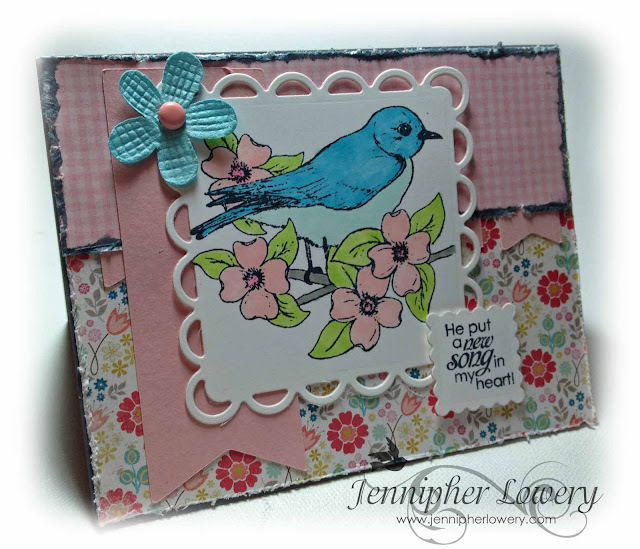 The sweet bird and the sentiment are fabulous! Thanks for playing along with the Friends of Speedy TV! Very cute Birds & Blooms cards. Great coloring and perfect combination of papers! Such a beautiful image to have used. Fabulous. This is such a beautiful card, and the image is lovely. Great colours and sentiment, too. I really like the distressed edges and the dp you have used. Very pretty card! I like your version of the sketch, with this beautiful bird image and the combination of soft pinks and blues! Oh, such a sweet card! I just adore the color combination, especially the pink and blue shades! A very attractive card. Colors are magnificent and the colorization is so made a success! Bravo. Fantastic coloring and love the frame. very pretty!! love the image! !